1 Why does my care home need to be concerned about fire safety? 2 Should I only give fire safety training to my care home staff? 3 Are there safety regulations needed for care homes? 4 How can my staff help prevent a fire in our care home? 5 Should I consider a fire alarm? 6 Should I implement drills and training procedures? A guide that discusses what fire safety procedures need to be implemented in a care home to ensure the safety of everyone who lives there. This guide includes what potential training techniques could be useful in the event of a fire and how often you should practice them. When you work in a care home, you need to remember that your first priority is protecting the safety of your clients. Your clients are in a care home to ensure that they receive the treatment and support they need to continue a healthy lifestyle even in old age. Their quality of life must remain in a good state with a caring hand from all of the staff at the care home. However, the emergence of a fire will truly shake everyone’s confidence. Your elderly patients may no longer feel safe on the premises, and your staff may want to work in a building that contains less of a fire hazard. You cannot predict when a fire may appear, as it can be caused through the simplest of things, such as through cooking, an electrical wiring problem or a power fault. However, you can still protect the elderly inhabitants and staff that work within the care home. You can do this by installing a training timetable that everyone must follow to make sure that everyone can get out of the building without anyone getting hurt. Why does my care home need to be concerned about fire safety? The domestic residents of a care home may be elderly or of ill health, meaning that they are extremely vulnerable and fragile. This is why it is essential that extra care should be given to anyone who lives within a care home. It also means that, if there is any chance of a fire hazard that could potentially harm someone, it is your duty to ensure that the hazard is minimised as much as possible. If a fire does break out and you are not prepared, you may find that it is more difficult to move less-mobile residents from the care home to a safe environment. Instead of having a safe spot to meet in, some residents may even get lost or wander away from the group altogether. Your staff need to be fully trained in order to assist with the organisation of your fire safety evacuation plan, but they also need to be able to identify a potential risk and minimise it. After all, a fire can begin from a very small source but cause a very big problem. From cooking equipment to electrical cables, just one problem with these devices could lead your care home to start filling with smoke. This is why your staff need to be prepared to identify any potential hazards before a fire even breaks out, as well as the locations of all of your fire prevention equipment, such as fire alarms, sprinkler systems and also any water, CO2 or powder-based fire extinguishers. Should I only give fire safety training to my care home staff? Though your first priority for fire safety training is in regards to your staff, you should always keep your elderly inhabitants aware of what safety procedures are being implemented to try and stop any potential fire hazards before they happen. Instead of lecturing them, you can save your intense training session for your staff – your meeting with your elderly patients should consist of a simple rundown of the procedures that are going to be implemented. If you have an evacuation plan in case of fire or simply want to point out the locations of fire alarms or sprinklers, your care home dwellers can be informed while they are enjoying their afternoon tea. If you are concerned that they may forget about any of the information you have provided, then you can provide a simplified brochure or poster that can keep them alerted to any potential fire hazards, what the signs are of a fire and where to evacuate to in case there is a fire. Setting up a meeting point is an essential way to move your care home inhabitants to a safer location that will not be affected by the fire. Always keep your patients informed and ready for when a fire may happen with a fire drill. By alerting them to a practice procedure, this will allow you and your care home inhabitants to move to the safe spot in a more organised (and, eventually, quicker) manner. 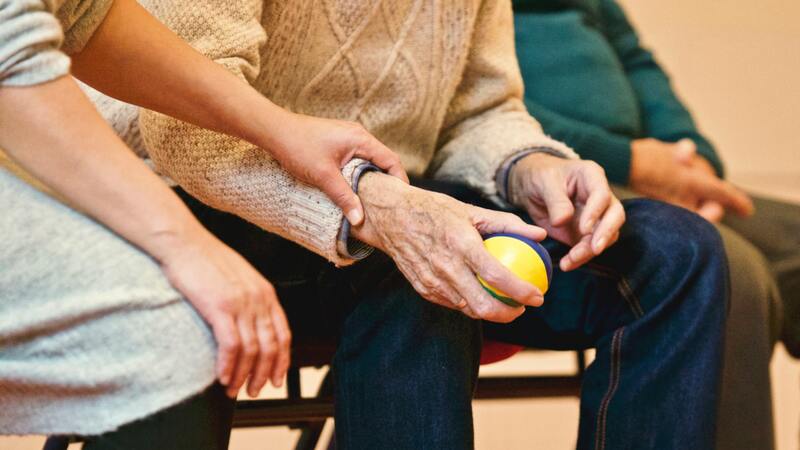 Are there safety regulations needed for care homes? Ever since the Care Home Regulations Act of 2001, it has been necessary for every vulnerable resident to be safeguarded against any potential threat. The Act also states that they will need special attention and care during more stressful emergencies, such as the emergence of a fire, an accident or even a break-in. Take the time to fully train the care home staff in regards to how to handle a fire safety hazard and evacuations. You will also need to appoint 5 competent fire wardens to monitor the overall safety of the premises. Organise fire drills to allow for staff and residents to practice evacuation procedures. All drills must be recorded to provide evidence, alongside recorded footage of any equipment tests. When you have fully been approved for all of these procedures, the government will be satisfied that your care home is up to standard. However, be sure to maintain it; otherwise, the result could be a rapidly spreading fire around the care home. How can my staff help prevent a fire in our care home? If you imagine your care home to be like a body, then your staff are the hard-working blood vessels that keep the body constantly moving and full of energy. If your care staff do not fully understand how to do their jobs or take fire prevention strategies, then you may find that your care home is full of very angry inhabitants. Heating appliances – Portable heaters can be a fantastic addition to a care home. However, if they are left on for too long and are on a flammable surface, then this can cause a potential fire hazard. From the moment your staff sees a potential fire hazard, they should make a risk assessment of it. What are the sources of ignition, what is the source of fuel and what are the sources of oxygen? These are the three main questions they should be observing. If each of these questions can be answered, then you are facing a real fire risk. In order to stamp out the fire risk before it happens, your staff need to take action to eliminate one of the sources that were mentioned in the question. For example, if they are looking for a source of ignition in a kitchen, they may consider turning off a cooker or unplugging it. They can also remove the flammable object (i.e. the fuel source) from the heat source to ensure that it does not catch fire. Moving these objects out of each other’s reach before they catch fire will ensure the safety of your care home, its residents and your staff. These techniques are simple but extremely effective. Should I consider a fire alarm? Yes, your care home should always have alarms that are utilised on every floor. Your care home may have people with hearing difficulties; therefore, if the alarm is in only a single area of the building, these people may not be aware of the approaching danger of the fire. Your care home should have manual call points that are installed next to every alarm. That way, if there is a fire, then your staff will be able to contact each other in order to warn them about the fire. Plan ahead to ensure that, if the alarms do make a noise, it will be loud enough for people to hear it all the way around your building. If it won’t be, then you will need to place alarms that are closer to the residents so that they can be alerted to the fire. However, do remember that you are housing very vulnerable, and potentially timid, residents. Sleeping areas should only have alarms that are at least 75dBA, but if you find that your alarm noise and loudness start to panic residents, then you may want to turn it down to 45dBA in order make sure that the residents do not panic. Instead, the staff should be more supportive and go to the locations of each of the residents to make sure that they are able to leave the building safely. Should I implement drills and training procedures? It is vitally important that all of your drills and fire safety training procedures include both your staff and your residents. Many of your residents will struggle to evacuate on their own, so will require extra support from your staff to make it to safety. While your staff support your inhabitants, then your appointed fire wardens should be ready to lead the evacuation for everyone inside the building with as little risk as possible. In order to create as little risk as possible, your fire wardens should ensure that all of your emergency exits remain unblocked and have no obstructions that could potentially stop those exits from opening. These wardens should also ensure that the doors are made of fire-resistant material and can accommodate any mobility-impaired residents, such as those in a wheelchair. The wardens should further ensure that all potential signs pointing to the emergency exit are fully functional and are easily viewable in either the light or darkness. In addition to this, the wardens should know the location of any fire prevention item, such as a fire extinguisher or alarm, so that they will always be able to utilise these products should they actually encounter any dangerous fires. With this in mind, it is up to your fire wardens to create a Personal Emergency Evacuation Plan (PEEP for short) that can get any vulnerable resident out of the building in the shortest amount of time. The plan will refer to all emergency exits and potential fire prevention kits, and explain how the staff will fully assist any elderly or vulnerable resident with leaving the care home. Once the resident has left alongside the staff members, then a safe spot must be picked to ensure that everyone is standing at a safe distance from the fire and smoke. You will need to organise a meeting to pick the best place, though a nearby car park would be an ideal meeting spot. Be sure to keep a list of names handy for such emergencies, as you will need a way of checking that everyone has made it out of the building. Be sure to try these techniques in drills at least once a year. This will keep your staff fully prepared and ready if a fire breaks out in your care home.